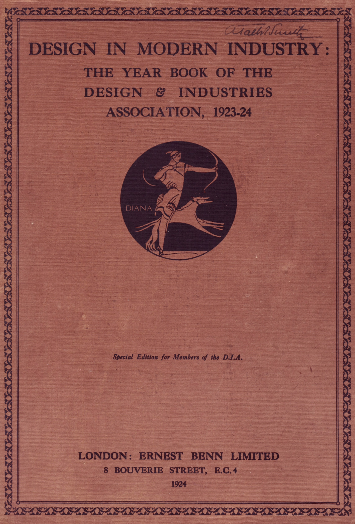 Annual review of work by members of the Design & Industries Association (DIA). Includes furniture, interior decoration, fabric design, pottery, industrial architecture, metalwork, domestic equipment, printing and lettering, shop fronts, vehicles, toys, and posters. Also includes a photo report on recent activities of the British Institute of Industrial Art. Designers whose work is illustrated include Ambrose Heal, Peter Waals, Charles Holden, H.H. Peach, Carter Stabler and, Gordon Russell Adams, Minnie McLeish, Gregory Brown, Claud Lovat Fraser, Phyllis Barron, Harold Stabler, C.H. B. Quennell, E. McKnight Kauffer, etc.